Doc’s Proplugs is committed to spreading awareness about potential ear damage during water sports so that you can take preventative measures and worry less while staying safe when you take on the aquatic activities that you love. The doctor, Robert Scott, is the founder and President of Doc’s Proplugs. As an avid surfer, he makes his home in Santa Cruz, California. He left general practice of medicine in 1985 and started focusing on people affected by ear problems in water sports. He was the original proposer of the fact that cold conditions are the responsible party for exostosis, or the bony growth in the ears of water sports athletes. Finding the condition most common in divers and surfers, he began working on ways to prevent this issue. His discoveries led to the original designs for Doc’s surfing earplugs. Now that his Proplugs have caught on with water sports enthusiasts all over the world, Doc can be found at world-class competitions, trade shows and other events offering free ear inspections as he spreads the word about ear protection with his Proplugs. 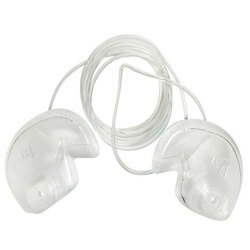 All Doc’s Proplugs earplugs are innovated to be non-invasive, long lasting and inexpensive. Each pair comes ready to wear and is easily self-fitted so you can get out there and enjoy your favorite water sport in a hurry. Crafted from hypoallergenic, soft Kraton, Doc’s swimming earplugs have a memory that delivers a watertight seal every time you pop them in. Proper usage of Doc’s diving earplugs is guaranteed to help keep you out of the clinic and in the water. Consistent use even wards of future ear issues like infections, bony growths, ruptured eardrums and high-frequency hearing loss. Doc has put in an impressive amount of work to craft the best solution for your ears when you are out surfing with your friends, or kayaking with a buddy. The Proplug Vented Earplugs come with a leash so that you will have a very difficult time losing them. These bad boys keep harmful liquids out of your hearing holes so that you can enjoy the most enhanced experience in the water. When your passions are located in and around the water, it is crucial to do all that is in your power to protect your ears. Doc’s Proplugs are the most advanced little pieces of equipment that will undoubtedly supply all the defense you need so that you can continue getting more out of every session every time.